So this week has been a much better week for me. Along with the fact that only hours ago my mum bought Thor: The Dark World on DVD. Which means lots of Loki/Tom Hiddleston fangirling for later on. This is a picture that I hadn't realised I hadn't posted it yet. 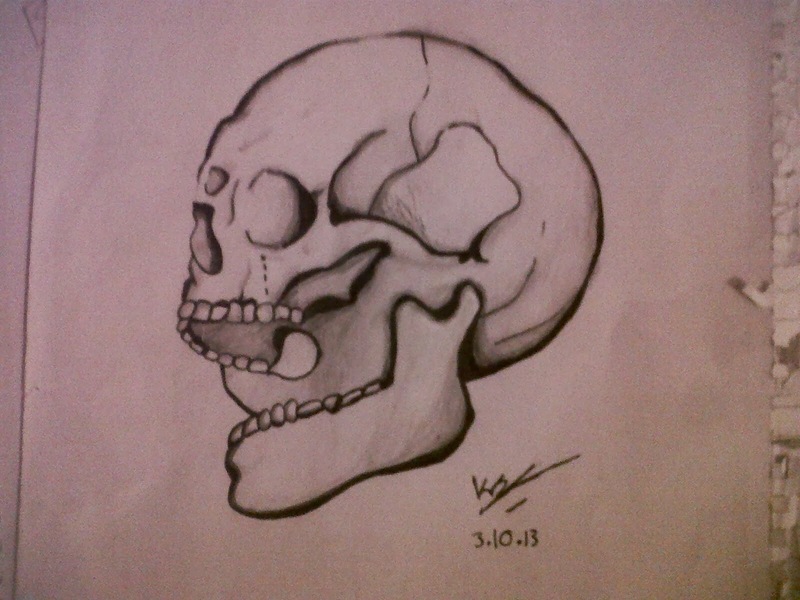 I drew it when I was ill about a year or so ago and it's one of my best drawings yet (in my opinion). I had a human anatomy book nearby so I just drew a few sketches out of that and ended up with this. I also have my MMR injection tomorrow. So I'll have plenty of time to worry over how much I'm going to freak out and how much it's going to hurt.